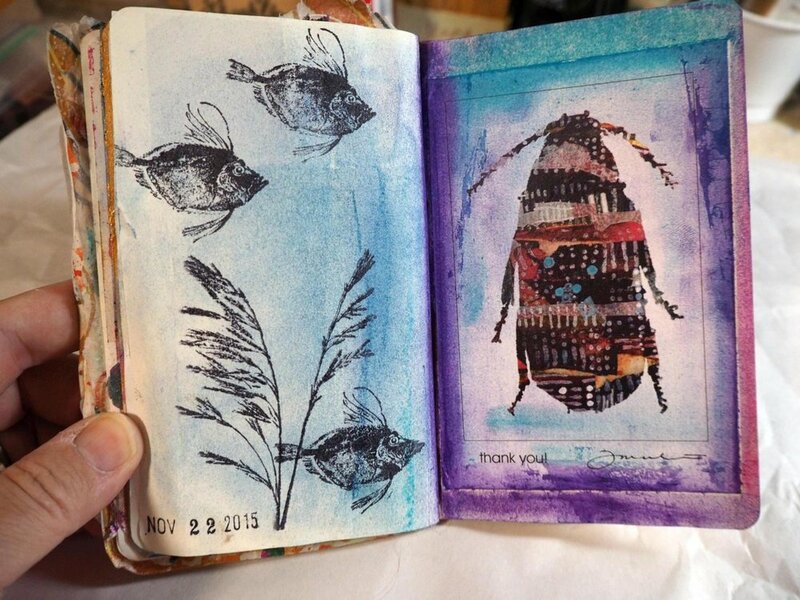 Mixed media art done in a small 3-1/2" x 5-1/2" moleskine journal. The small size is so fun to work in and can be done quickly too. 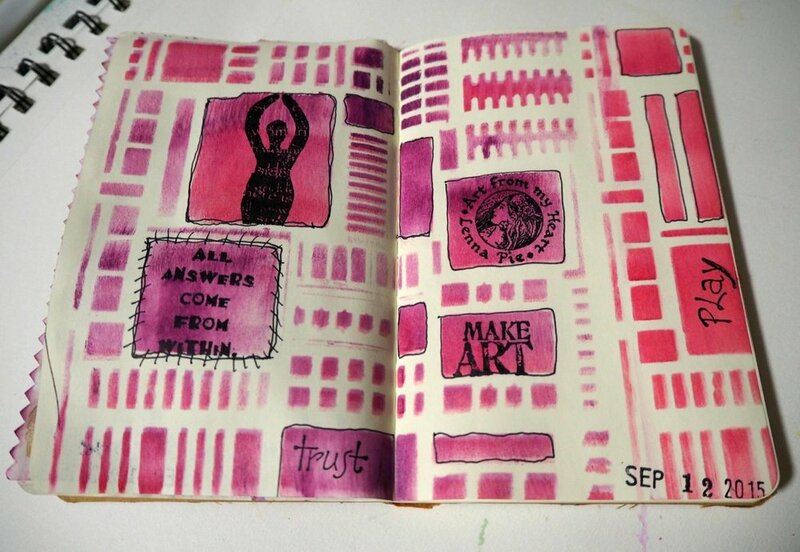 I enjoy changing up the size of the art journals I work in. I find larger and smaller journals to each have their own unique qualities, plus pros & cons for working in. 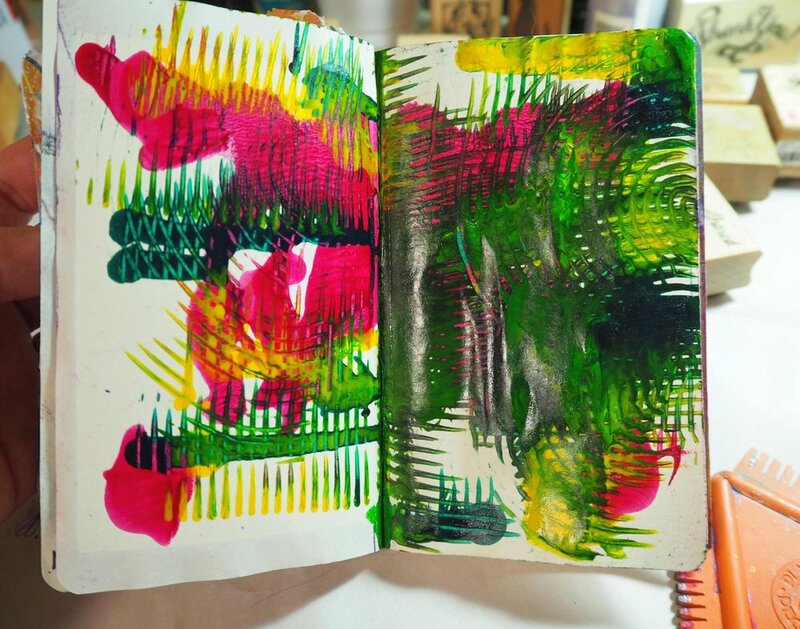 Moleskine Journals come in a variety of sizes, but the one I used shown on this page is a small, hold-in-your-hand size of: 3-1/2" x 5-1/2". A flip through video I made of the finished journal is here, as well as some still photos for you. Click on any photo in the gallery for a full page view.